The Ceiling Air Purification Scrubber is a complete air purification system integrating multilayer filtration, air purification, sterilization and air ionization. The unit contains several technologies including a washable pre-filter, electrostatic precipitator, HEPA filter, activated carbon filter, UVC lamps, photo-catalytic oxidizer, and a bipolar ion generator. Unit is manufactured from galvanized sheet metal and is designed to mount flush in a 24” X 24” hung ceiling grid using the included mounting hardware. 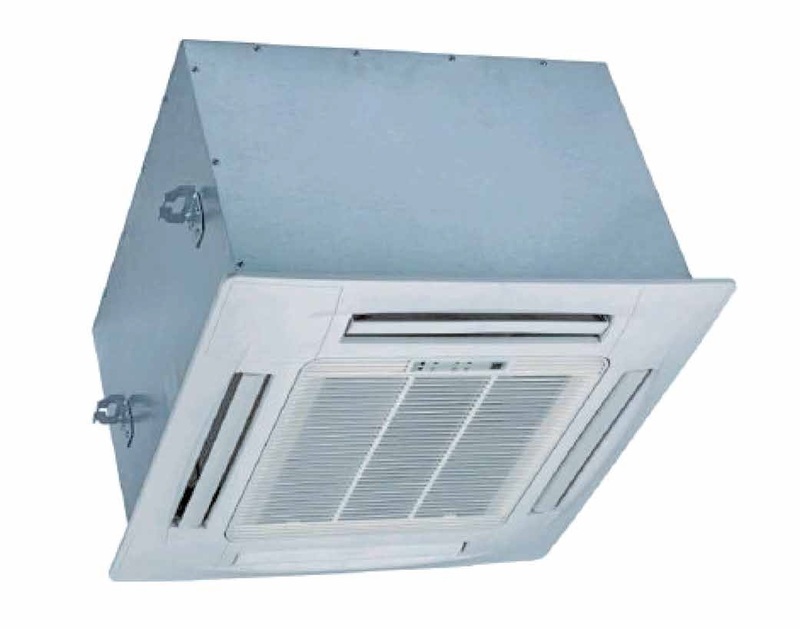 It comes complete with a three-speed fan operating at low sound levels and four way modulating supply air outlets. There is even a wireless remote control for convenient operation of the air purification unit.